It’s probably no surprise to learn that there are all sorts of myths about skincare floating around out there. As experts here at AP Skincare, we’ve heard our fair share! Some are amusing, some are outlandish, but there are some that are downright harmful. 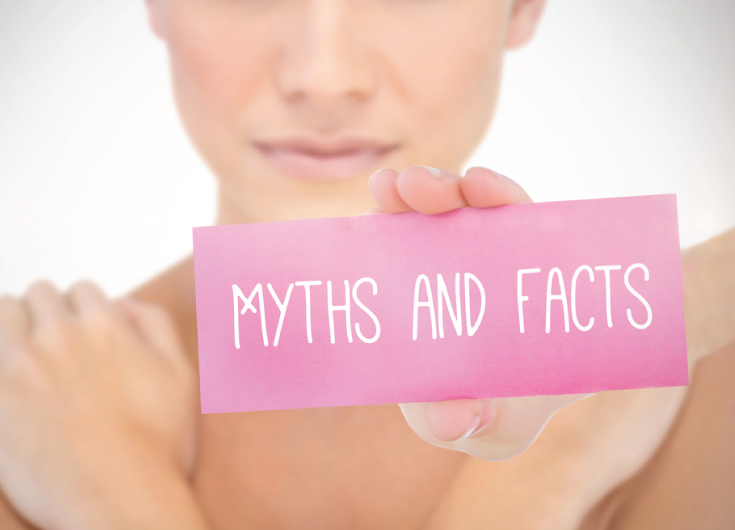 This week, we’ve collected four of the most common anti-ageing skincare myths around. Here’s why you should steer clear of their advice! Not so! Taking care of you skin is important no matter how old you are, and by the same token, it’s never too early to fight the signs of ageing. You may have seen our recent post on the success of Korean skincare. One of the reasons that so many of us envy the excellent skin of Korean ladies is because they focus on prevention, not just cure. We could stand a thing to learn from them here in the UK! And if you’re worried about your skin somehow adapting to anti-ageing procedures like anti-wrinkle treatments, don’t be. It’s like your diet. Carrots don’t stop being as healthy for you when you’re fifty as they were when you were twenty. By the same token, anti-ageing procedures don’t magically stop being as effective! This is perhaps the most harmful one on our list, given the incredible heatwave that the UK is experiencing at the moment. Here’s the facts: sun damage is one of the single biggest causes of early ageing. Protection never stops being important! You might be surprised about how pervasive it can be, too. Ultraviolet rays can reach you not only through clouds, but also through windows and windscreens too. It can even burn you from reflective surfaces like stone and water. Just a bit of short term sun exposure for up to half an hour a day can add up over the years to cause significant harm to your skin. Our experts here at AP Skincare would always recommend wearing sunscreen, no matter the weather. Take particular care in this scorching weather, and make sure you stay in the shade between 9am and 4pm, when the sun is at its hottest. Genetics certainly play a role, but they aren’t the be-all end-all. Time and time again, scientists have found that it’s free radicals which are the major causes of premature ageing. It might sound scary, but it’s good news – essentially, it means that you have more control over the appearance and health of your skin. Avoiding too much sun exposure and stress are great priorities to have, as well as making sure you get enough rest. What’s more, we can’t stress enough the importance of an antioxidant-rich diet. Every little helps! Every once in a while you may hear of a new ‘wonder-treatment’, one that breaks all the established rules of everything you knew about skincare. Sounds too good to be true, right? It usually is! Brand new treatments often rely on aggressive marketing to get their point across, and sometimes they’re not so much concerned with the health of your skin as they are about making as much profit as possible. Even with the best of intentions, though, new procedures can still be inadvisable until they’re independently verified. Sometimes, there’s a good reason they’re so “exclusive” – no responsible practitioner will touch them! When it comes to new skincare treatments, we’d always advise treating them with a health amount of scepticism until you’ve heard the opinions of disinterested, independently-verified medical practitioners. Meanwhile, here at AP Skincare, some of our experts have decades of industry experience behind them. You can always trust us to know what we’re talking about! Specialist treatments like our non-surgical facelifts have proven success amongst our customers, many of whom return to us time and time again to benefit from the same fantastic results. Why not pop into our Blackburn treatment centre, or give us a call on 01254 297 000, and find out what we can do for you?